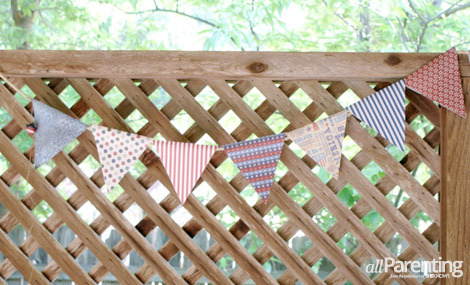 If you're looking for the perfect decoration for your 4th of July picnic or maybe just your home, try this easy 4th of July bunting tutorial. 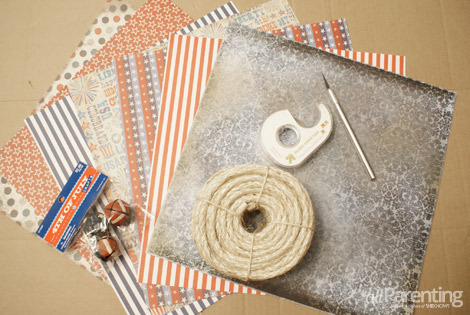 Made from scrapbook paper and ribbon, this simple project will make the perfect addition to your patriotic party. 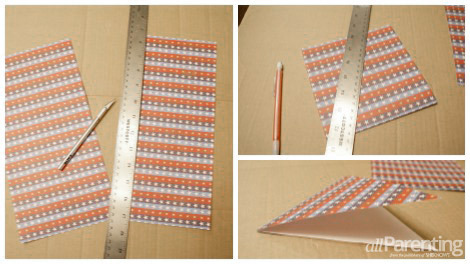 Cut each square of scrapbook paper in half using either a ruler and scissors or X-Acto knife or your paper cutter. Fold each 6 x 12-inch strip in half to form a 6 x 6-inch square. Arrange your 6 x 6-inch square so that the folded edge is at the top. Using a pencil and a ruler, mark the center of the bottom of each square, where the two ends of the paper meet. Make a diagonal cut from each corner of the top of the square to the center of the bottom of the square, creating a triangle with a folded edge. Your seven sheets of paper will yield 14 triangles. If using multiple patterns and colors, lay your triangles out first to determine the order. Open your first triangle and place double sided tape lengthwise on each side of the crease and one at the bottom of the triangle. Starting 12-18 inches from the end, place the ribbon or cord into the crease of the triangle. If using flat ribbon, lay the ribbon along the edge of the crease over the double sided tape, and then fold the triangle over. If using thicker cord like we did, place the cord in the center of the crease and fold the triangle over. Match up the pointed ends of the triangle and press to adhere. Continue for each triangle, and then cut your ribbon or cord 12-18 inches from the last triangle. Add extra adornments as desired. We opted for vintage style bells in red, white and blue. 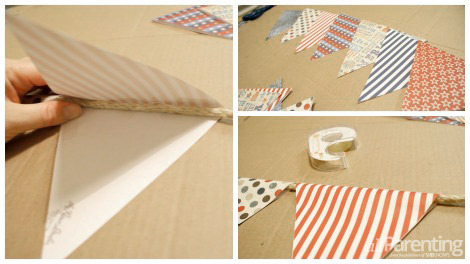 Find a good place for your bunting and hang it using nails or thumb tacks. Then sit back and admire your new decoration!